Heat oil in a pressure cooker and fry onions, green chillies and curry leaves till the onions turn light brown. Add ginger garlic paste and fry till the raw smell goes. Add the spice powders and a little water, and fry on a low flame till the aroma comes out. Add tomato paste, water and salt. Mix well and add chicken pieces and potatoes. Mix well and close the lid. Cook for 5 minutes on a low flame after the first whistle. Allow it to cool. Open the lid and add soya sauce. Mix well and allow the curry to simmer for 5 minutes. 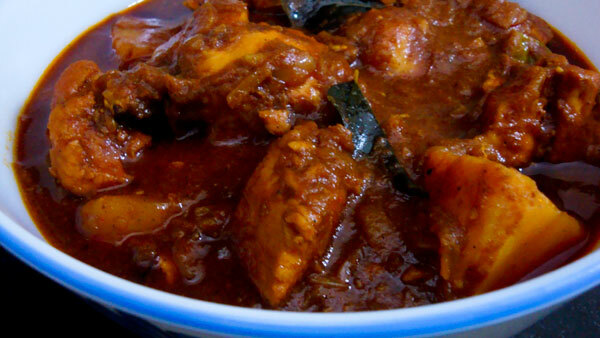 Yummy ‘Soya Sauce Chicken Curry’ is ready to be served. 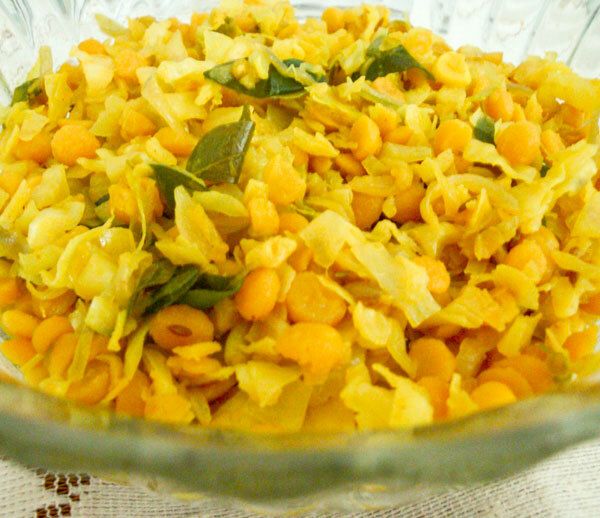 It goes well with rice, porotta, chapathi, bread, dosa and idiyappam. Cheers! I love chicken dishes with potatoes, i am sure gonna make this after the summer holidays, these days i don’t make anything elaborate, it always seems to be grilling meat etc…. This is a delicous looking curry lissie. Hope you are better now..take care of your health…. The gravy has attained a lovely color and looks very tempting. Glad to hear that you tried this recipe and that you liked it! 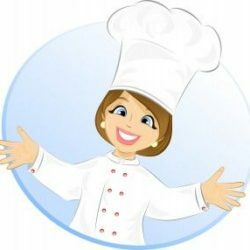 Please do try my other recipes too and let me know about the outcome. 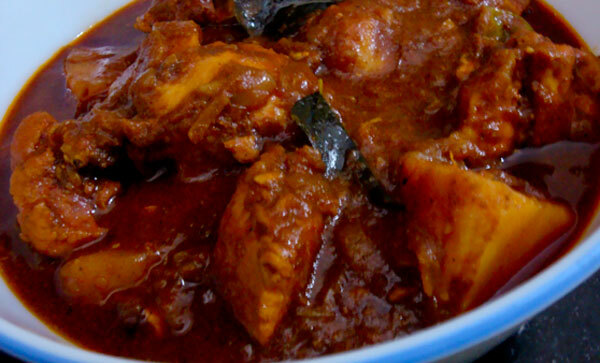 you have mentioned chicken masala – 2 tsp, may i know what are the ingredients of that masala? Welcome to my blog! I used store bought ‘chicken masala powder’. Since you are in Qatar, Indian ‘chicken masala powder’ should be available in almost all supermarkets! such a mouthwatering picture!! love the color…am trying this recipe now.